TEAMS OF STUDENTS working on concrete challenges and real needs posed by INTERNATIONAL ORGANIZATIONS and NGOs tackling the 17 Sustainable Development Goals (SDGs) of the United Nations. 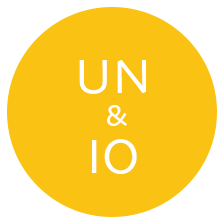 The UNITED LABS network promotes international innovation, just as the UNITED NATIONS promotes international cooperation. INTERNATIONAL and CROSS DISCIPLINARY teams of students applying their passion and dedication to REAL-WORLD PROBLEMS proposed by the UN and internationl organizations. UNIVERSITIES and RESEARCH labs, MAKERSPACES, FABLABS, INCUBATORS for SOCIAL INNOVATION, and POLICY LABS, willing to HOST THE TEAMS and provide specific expertise, support, and safe places to experiment. The UNITED NATIONS, but also any other INTERNATIONAL and HUMANITARIAN organizations willing to foster student-driven innovation focused on tackling the Sustainable Development Goals (SDGs). WE THE LABS, RECOGNIZE THAT THE WORLD IS INCREASINGLY MOBILIZING TO TACKLE THE UNITED NATIONS SUSTAINABLE DEVELOPMENT GOALS (SDGS). OBSERVE THAT MANY SINCERE EFFORTS STRUGGLE WITH SILO EFFECTS CAUSED BY PRACTICAL COMPLEXITIES SUCH AS GEOGRAPHIC DISTANCE AND CULTURAL DIFFERENCES, AS WELL AS THE LACK OF CONNECTION BETWEEN ACADEMIC RESEARCH LABS, POLICY THINK TANKS AND INNOVATIVE GRASSROOTS INITIATIVES. BELIEVE THAT THE RESULT IS, TOO OFTEN, THE REINVENTION OF THE WHEEL, WHEN WE SHOULD INSTEAD ASPIRE TO THE INVENTION OF BETTER WHEELS. WE THEREFORE ESTABLISH THE UNITED LABS FOR THE GLOBAL GOALS TO ACCELERATE INNOVATION BY GIVING PASSIONATE AND CREATIVE YOUNG PEOPLE THE OPPORTUNITY TO APPLY THEIR DEDICATION TO THE SDGS IN A GLOBALLY NETWORKED WAY. 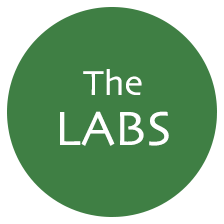 THE UNITED LABS BUILDS ON EXISTING LABORATORIES OF ALL SHAPES AND SIZES, ENABLING YOUNG INNOVATORS TO COLLABORATE ACROSS CONTINENTS, CULTURES AND DISCIPLINES. THE UNITED LABS HOSTS TEAMS OF STUDENTS WORKING ON CONCRETE CHALLENGES DEFINED BY THE REAL NEEDS OF THE UNITED NATIONS, INTERNATIONAL ORGANIZATIONS AND NON-GOVERNMENTAL ORGANIZATIONS DEALING WITH ALL ASPECTS OF SUSTAINABLE DEVELOPMENT. THE UNITED LABS INCLUDES UNIVERSITY RESEARCH LABS, MAKERSPACES, FABLABS, INCUBATORS FOR SOCIAL INNOVATION, POLICY THINK TANKS AND MORE. THE UNITED LABS PROVIDES STUDENTS WITH SPECIFIC EXPERTISE, SUPPORT, AND SAFE PLACES TO EXPERIMENT WITH INNOVATIVE IDEAS, AND LEARN FROM EACH OTHER’S SUCCESSES AND FAILURES. 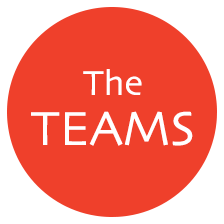 THE UNITED LABS FEATURES A STRONG INTERNET PRESENCE TO ENABLE SEAMLESS SHARING AND CONTINUOUS IMPROVEMENT OF IDEAS, SO THAT INNOVATION BECOMES SUSTAINABLE, TOO. THE UNITED LABS PROMOTES INTERNATIONAL INNOVATION, JUST AS THE UNITED NATIONS PROMOTES INTERNATIONAL CO-OPERATION. THE UNITED LABS FOR GLOBAL GOALS STARTS HERE AND NOW, WITH THIS MANIFESTO.